Ping Golf wowed the golf world at the tail end of 2014 with its G30 driver and corresponding line of metalwoods, sporting little aerodynamic fins calls turbulators that, the company said, increased swing speeds by a few mph, leading to more yards. Consumers took to the line in droves, particularly overseas. In 2015, the company will offer a new model of the G30, one it says spins even less than the initial model while maintaining the high moment-of-inertia of the original. 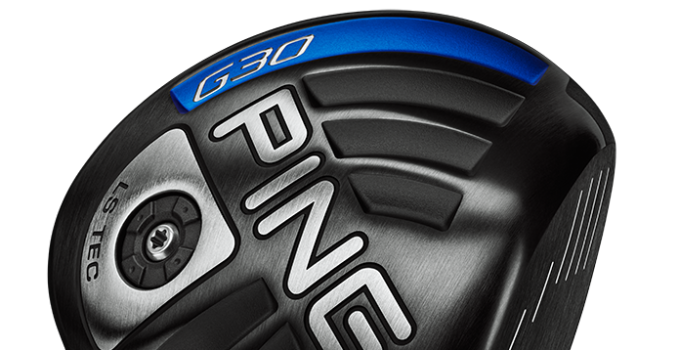 The driver sports a sole weight to position the center of gravity low and back, albeit slightly forward of the standard G30 driver, to generate approximately 400 rpm less of spin. Engineers still designed the club with a high MOI in mind for forgiveness and consistent distance imperfect hits. Players can also use the company's Trajectory Tuning+ technology to change the club's loft up or down by as much as a degree for five separate positions. The high-balance-point TFC 419D shaft aims to deliver more energy to the ball at impact. The driver comes in 9- and 10.5-degree options, going on sale for $385.